Based on more than forty interviews with Jobs conducted over two years–as well as interviews with more than a hundred family members, friends, adversaries, competitors, and colleagues–Walter Isaacson has written a riveting story of the roller-coaster life and searingly intense personality of a creative entrepreneur whose passion for perfection and ferocious drive revolutionized six industries: personal computers, animated movies, music, phones, tablet computing, and digital publishing. it took me a week plus (with average 2hrs per day) to finish reading this book. It was not the Mac or iPhone that caught my attention over Apple; but it was the commencements speech that Steve Jobs delivered at Stanford College. It was just a coincident when i was browsing through the web couple of year back when i found the video on Youtube. This video just simply blow me away on how Jobs really can tell good stories (with a lot of wisdom within). The more i learn about Jobs and Apple, more interest towards them grow in me. I was really keen to know how a geek like him could founder Apple Computer back in the 70s. How he was kicked out from the company his founder & what do his do next? And coming back to Apple in 1997 to save Apple from a near bankruptcy and turned it into legendary icon. Launching beautiful products literary changes the how the industry do business. 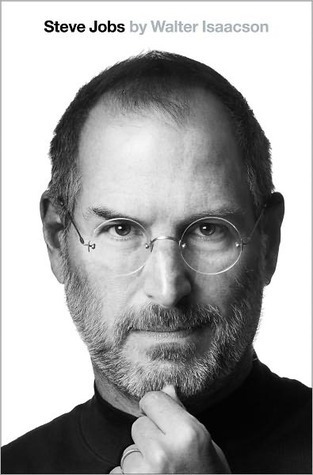 if you like to learn more about Apple and Jobs…this book is a good read.